Any one know these two? Unsure in they're Australian made. Quite buoyant - one of Kris Hickson's favourite shallow water lures. 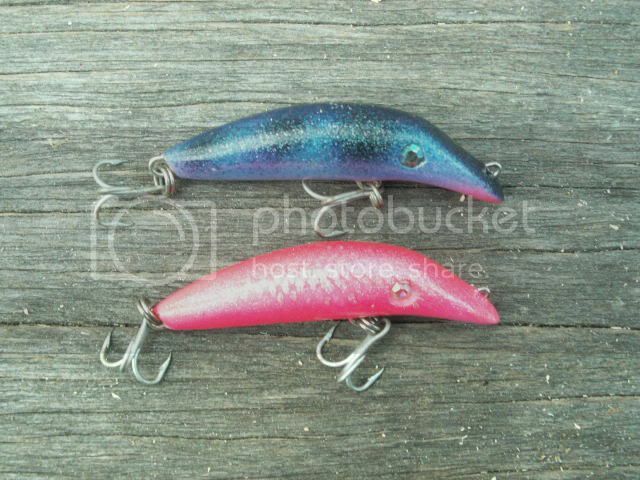 Yes they are X lures, and they are aussie. This post was for you mainly. You had shown interest when you came in the shop in the past. I managed to acquire a handful. Is it X Lures or Ex Lures ? Ex Lures are from Bribie Island. They were made in Mulumbimbi or Nimbin area.